We Need to Move to “The Cloud” – Where to Go? 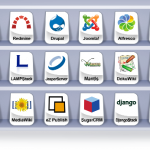 Dozens of well-known companies offer reliable web hosting for small to medium size Corporate Web Sites without issue. Although there are thousands of companies offering web hosting services, make sure to do proper due diligence and ask about their infrastructure – the technology behind their product offerings. Specifically reliability or “up time” and redundancy or duplication of technology if something fails. Be wary of the $1.99 and $9.99 hosting packages. 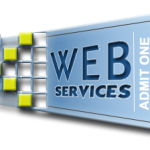 Many offer nothing more than “Best Efforts” service levels to keep your site up and operational, i.e. “visible” on the Web. We all know what we do the minute we see “Site not found.” We immediately move on to the next supplier and probably never return to that original web site. If your web site is not accessible, to the Internet consumer, it is the equivalent of hanging a sign that says, “Out of Business” on the front door. Obviously, when one of the major providers has an outage and it makes the National News, you may get a free pass from your Business Customers but for general consumers, unless you are a destination site like a Walmart or Facebook, consumers will probably not return nor make a second attempt to reach you. Amazon Web Services, Google Compute Engine, and Microsoft Azure offer not only the ability to build a Server in “The Cloud” but also target specific services like File Storage, Archiving of Backup Files, Advanced Database Services, and raw computing power for advanced processing like calculating weather patterns and genomes. You can still benefit from the power and reliability of these behemoths by looking for a Web Hosting company that built their technology on one of these three major providers. Look for “Powered By” and the appropriate co-branded Logo. There are never any guarantees that Web Hosting companies that build on the Big 3 will be more reliable than those that build on their own technology but it does offer you a baseline starting point for your research. If you are looking for Infrastructure Cloud Hosting to move your Servers or specific Line of Business Applications, there are dozens of exceptional providers that meet all of the compliance requirements and have the references and credentials to pass any level of due diligence. Don’t just limit yourself to the Big 3. In fact, some of the lesser-known Boutique Cloud Hosting Infrastructure providers actually have better Service Level Agreements. If you are looking for a place to host your company web site or eCommerce store, there are many well known providers available. Make sure to review the Service Level Agreement to make sure that their offering meets your business requirements for “up time”, support, and recovery. The key advantage is obvious: If the web site is hosted off-site in “The Cloud”, and there is no direct connection between “The Cloud” hosted web site and the corporate network, then even if the web site is hacked, the damage is completely contained. The site can be restored from a backup and returned to service relatively quickly. Another advantage of hosting the Company Web Site in the “The Cloud” is that it is assumed that most Enterprise Class Hosting companies will have significantly more computer technology infrastructure and layers of redundancy than your own corporate data center or computer room. Enterprise Class Hosting companies such as Amazon Web Services, Google Compute Engine, Microsoft Azure are extremely robust in their basic offerings and in advanced configurations, provide mission critical “up” time with the ability to mirror a web site globally translating to zero down time. In general, most Cloud Hosting Providers have Data Centers in multiple regions of the Country as well as around the World. This enables you to host your web site hundreds or thousands of miles away from your offices so that in the event of a regional disaster, like a Hurricane, the company web site will still be operational. In a disaster, many companies use their web site to post current operational status information. For example, a Utility company will post updates on outages and repair progress. Or, a school or company might post information about closings or shortened hours of operation. Given that “The Cloud” is a 24-hour, 7 Day a week, 365 Days a Year environment, the larger Cloud Hosting Companies offer around-the-clock service and support with endless amounts of resources. This enables you to quickly scale your web site to meet scheduled or unscheduled demand at your convenience. For example, if you run an eCommerce web site, it is presumed that from Thanksgiving to Christmas the number of visitors to your site will increase significantly. With a Cloud hosted web site, it is relatively easy to increase the capacity of the web site to handle the additional web visitor traffic. This can be a simple as making a few changes on a control panel to assign more resources and paying an incremental additional fee or calling in to a support representative for assistance. The theory is that “help” is always available and no matter how much capacity you need, it is available on-demand, without issue. Another example might be that a company has a positive or negative publicity event causing excessive unplanned traffic from people looking for additional information. Think “Oil Spill” or “The Royal Birth.” Normal visitor traffic might be 20,000 people a day but after the event, traffic might spike to ten times that amount to over 200,000 per day (or if a large company, perhaps hundreds of thousands per day to millions per day.) Cloud Hosted sites can immediately add in the additional capacity for the short period of time to handle the spike in traffic and then gradually back off the additional capacity as traffic levels return to normal. This type of flexible scalability would be almost impossible to accomplish with most internal corporate data centers. Moving a company’s Web Services to “The Cloud” assures that, in most cases, the web site can immediately scale to meet increased demand at a nominal incremental cost. And, that in the case of a regional disaster, given that the web site will be hosted in “The Cloud”, in a data center outside the local area, communication to and access by customers or the general public should continue without issue. As previously discussed in my article, “We Need to Move to “The Cloud.” – The Question vs the Reality”, I established that there are specific use cases and applications that are prime candidates for “The Cloud.” Converting Voice Telephone service from traditional physical copper lines and an on-premise Private Branch Exchange (PBX) Telephone Switch to a Virtual Cloud Based PBX or Hosted Voice over IP Service (VoIP) provides critical Business Communication Continuity. Telephones and PBX Phone Systems are extremely durable and last for years with minimal maintenance. In larger office implementations with frequent staff changes or desk moves, there may be fee based professional programming services involved to move an extension or reassign a telephone number to a new staff person or location. Even if rare, when that PBX in the closet breaks, and it will, the entire office may lose all telephone service until the PBX can be repaired. As these systems get older, parts may be more difficult to obtain in a timely manner. The primary advantage of Hosted VoIP is that wherever you have access to the Internet and can plug in your VoIP telephone, you have phone service. For example, if you take the phone from your office and plug it in to the Internet connection in your home, you can make and receive calls at home. Many Hosted VoIP providers provide a “soft client” (think Telephone App), that enables you to use your Smartphone to masquerade as your physical VoIP phone to make and receive calls. The capability is also available for your Windows or Mac computer with a Headset or Microphone and Speakers. Again, anywhere you have access to the Internet; you have direct access to your Telephone Number and all related Telephony features – such as access to Voice Mail. All of these features can be self-managed by the user via a web based control panel accessible through any web browser such as Internet Explorer, Firefox, Chrome, or Safari. If a physical telephone breaks, only that user is affected. The defective phone can usually be replaced overnight or from a spare kept on the shelf. The user can always use one of the “soft client” VoIP apps to make and receive calls from their computer or even temporarily take over another phone from a user not in the office. The other key advantage of Hosted VoIP is that there is no longer an on-premise PBX (box in the closet) to maintain. Each telephone stands on its’ own. This usually represents a significant cost savings in on-going maintenance costs and savings in the large capital outlay required for periodic upgrades or full replacement. Hosted VoIP usually provides a predictable, fixed monthly cost for all Telephone Services. All telephone system programming is maintained by Enterprise class “Cloud” based Hosted VoIP providers that have massively large, redundant infrastructures that virtually guarantee that Telephone Service will be operational without issue 24/7/365. Hosted VoIP offers the ultimate in Business Communications Continuity. Moving Traditional Telephone Service to Hosted VoIP in “The Cloud” assures that critical business communication can continue during a disaster and eliminates a potential point of failure in your communication infrastructure. As previously discussed in my article, “We Need to Move to “The Cloud.” – The Question vs the Reality”, I established that there are specific use cases and applications that are prime candidates for “The Cloud.” One application in particular is Email and its’ use case is Business Communication Continuity. Because people can get to their email on so many platforms, such as their Desktop, via a Web Browser, a Mobile Phone, a Tablet, eReader, or even a Smart TV, and check it so frequently, it becomes immediately obvious if there is a problem with the Email Server. Ask any Information Technology professional and they will acknowledge that Email Servers require periodic and extensive maintenance. The amount of disk space used to store new email grows continuously. As that storage space grows, so does the amount of storage required to back it up. If a company has compliance and email retention issues, that requires even more space for duplicate archival copies. The larger the company, the more users delete mail, create folders, and add/remove contacts from address books. This in-turn means that more frequent Email Server maintenance events are required to reorganize and streamline the Email Server Database Store (which holds all of the email.) Some maintenance events require the Email Server to be stopped temporarily which can frustrate users, even if scheduled for off-hours like nights and weekends – when email usage should be lowest. This is nothing new and thousands of Email Administrators have been successfully managing their Email Servers for years without issue. However, as Email has become the predominant form of business communication, the volume of email has increased significantly creating greater challenges to the status quo. The inability of a user to send and receive email for any reason is deemed unacceptable. If an Email Server malfunctions, company management and users may not be willing to tolerate an afternoon or an entire day without the ability to send and receive Email. Although moving Email to “The Cloud” seems more expensive, because each additional user incurs an increase in the monthly cost versus the relatively fixed cost of maintaining your own Email Server, the savings comes in the elimination of all of the related costs of maintaining your own Email Server. No longer is there additional staff time for Email Server maintenance, increased costs for additional processing power or storage space for the ever-growing volume of email. Perhaps the biggest advantage is “Business Communication Continuity”: The ability to maintain productivity and critical communication during a localized disaster such as a Hurricane, Flood, or Fire that wipes out your home or office. During Tropical Storm Sandy, many offices and homes were swept away, burned to the ground, or were under water for weeks. Email Servers along with all other “on-premise” technology were destroyed. Many had off-site backups and were able to restore their data but for those that hosted and maintained their own Email Servers, Email was unavailable for days or even weeks. 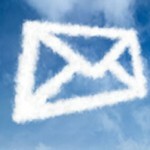 For those that used “The Cloud” to host and maintain their Email, as soon as they could access the Internet, they were able to send and receive Email. Moving Email to “The Cloud” assures that critical business communication can continue during a disaster and eliminates a potential point of failure in your communication infrastructure. The Cloud is very much like the Weather: Everyone talks about it but no one seems to really understand it – least of all my clients who seem to all desperately want their businesses to be in it but are not sure why. It is the part where the client moves from a declarative statement to a question that always makes me smile. For humor, recall that the literal definition of a Cloud in the Weather sense is a visible body of very fine water droplets or a mass of dust or smoke suspended in the atmosphere. Does this really sound like where you want to place your very important data and information? 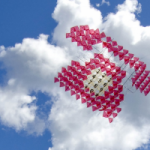 The Cloud, both weather related and technology are challenging places to do business. Let’s address the first question: Why does everyone think their business needs to be in “The Cloud?” Probably for the same reason that everyone felt they needed an Apple iPod, iPhone, or IPad when they were first introduced. That’s what all the “cool kids” were carrying. Seriously, even if you never actually opened it up or turned it on, how could you show up at a C-level meeting and not have an iPad sitting in front of you or not be carrying an iPhone? Not to take anything away from Apple but there are as many or more users of other MP3 music players, Android/Windows Smartphones, and non-Apple tablets like the Android Samsung Galaxy, Microsoft Slate, and Kindle combined. Peer pressure and Fads notwithstanding, Function usually follows Form. If you needed a music player, the iPod was an excellent choice but then again so were hundreds of other brands of MP3 players. (MP3 is a popular format of music files for non-Apple devices.) If you were not the type to listen to music on the go, then there was really no reason to purchase an iPod or MP3 player. Actual need and use case should always drive the Technology decision process in the company. 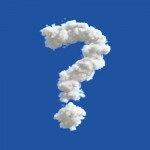 Turning the question in to a more focused statement, “Certain people know they need to be in the Cloud as it is the only way they can do business efficiently.” Specific examples are Startup companies that don’t have the capital to invest heavily in “Big Iron” – (the colloquial name for Server computers). The Cloud enables them to immediately “spin up” whatever Server technologies they require, and scale up as their needs grow with only a marginal increase in operational cost. Another typical example is seasonal retail. Given that stores selling physical goods may do more than 50% of their annual sales during the Holiday Season, does it make any sense to have that amount of excess Server capacity for a three month peak load in their Data Center? Before The Cloud, there was little choice. Now with Hybrid Cloud Tools, Retail can scale up to double or triple their Server capacity by extending in to the Cloud so that they can handle the increased volume of sales transactions extremely quickly for only a marginal increase in operational cost. Note to Reader: The above is the quick determining factor for the “easy” use case for moving to The Cloud. Most every business can benefit by utilizing The Cloud in some capacity. This may include off-site backup, disaster recovery, mission critical operations, or a shift from capital to operational expenditures based on the strengths and weaknesses of the Balance Sheet and Income Statement. 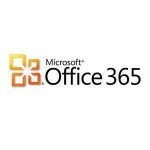 Microsoft Office365 as a hosted Exchange platform offers an almost unbeatable value especially if you are tied to Outlook and a Smartphone or Blackberry. Starting at $4 per month for a basic 25GB mailbox, you get all of the features of the Microsoft Exchange experience plus ActiveSync for mobile devices (iPhones, iPads, Androids) and optionally, the Blackberry Enterprise Server functionality if you are a Blackberry user. One of the best features of Microsoft Exchange as an email platform is the ability to have absolutely synchronized mailbox folders between Outlook and any Smartphone, iPad, iPhone, Android, and Outlook Web Access. That means that no matter how you connect to your email account, every received and sent message, along with your calendar, will be visible on every device at all times. When you send a message from your mobile phone, it will synchronize and show up in the “sent” folder of your desktop copy of Outlook. This seamless synchronization alone knocks out the free POP3/IMAP email accounts provided by the hosting providers such as GoDaddy, Yahoo, 1and1, or Rackspace. Sure, IMAP can give you a similar synchronized email experience but IMAP cannot help you with your Outlook calendar. The obvious benefit of an off-premise, Microsoft Cloud based solution for hosting of your email vs. having your own on-premise email Server is virtually zero downtime and the ability to access your email at any time as long as you can find an Internet connection. The next time a hurricane or windstorm sweeps through your area and knocks out the lines, any email being sent to you will be waiting for you as soon as your Internet access is restored or you can find an area that has Internet Access for you to connect – either with your Smartphone, Tablet, or Web Browser. This is all absolutely correct but there is much more to consider. Overlooked are the additional capital costs of more powerful Server hardware and the storage required to maintain an on-premise Microsoft Exchange environment. Then there are the required license upgrades every two to three years. And for any of you that presently have a Microsoft Windows Server with on-premise Exchange, you know that the Servers do not maintain themselves. There is a never-ending series of payments to your outside IT Consultant or in larger organizations, the full time Microsoft Exchange guru to keep email operational. Even if you have a full time IT Staff, Microsoft Exchange requires some portion of their time on a continuing basis. When you combine one-time capital and on-going operational costs together, all of these items make for a more expensive Total Cost of Ownership for on-premise Exchange then the fixed price monthly fee for Microsoft Office365 in the Cloud. Surveys show that email and calendar access are the most critical business applications. Is your business any different? Can you afford to lose access to your email and calendar? If so, for how long? An hour, a half a day, a whole day? And, maybe longer if there is an area wide disaster like the Hurricanes and Tropical Storms that swept through the East Coast in 2011 where some areas did not get their power back for over a week. No power to your office, no access to your email – and this completely ignores that even if you have power, are the wires that carry the Internet Access to your office up and operating? Communications lines are last ones on utility poles to get restored. Electrical Power always comes first. With access to email and calendar applications, most businesses can continue to function and remain somewhat productive in times of crisis. The slight premium of $48/year for a basic Microsoft Office365 Hosted Exchange account vs. an on-premise Exchange solution is both assurance that your Microsoft Exchange will always be maintained at the latest version with the newest features and insurance against loss of productivity due to the inability to access your office email Server. In the long run, Microsoft Office365 lowers your total cost of ownership by providing you with greater reliability and access to your email and calendar than most small businesses could afford to implement on their own. And, the beauty of the product is that you can implement it for an office of one person or a staff of thousands. Traditional software applications like Microsoft Office, Microsoft Outlook, Quickbooks, and Contact Management, like ACT! are installed locally on the Computer. One downloads an installation program or inserts a CD/DVD to load the software application to the computers’ hard drive. 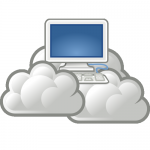 Slimmed down versions are available via “The Cloud” in a format called “Software as a Service” or SaaS for short. Examples of Word Processing, Spread Sheet, Presentation, and Email applications, entirely web based would be Microsoft Office365, Microsoft Live and Google Docs. SalesForce and SugarCRM are examples of full featured Contact Management and Sales Cycle software that are entirely web based. Quckbooks and TurboTax have complete Online Versions as well. There are definite advantages to both types of offerings depending on the circumstances. 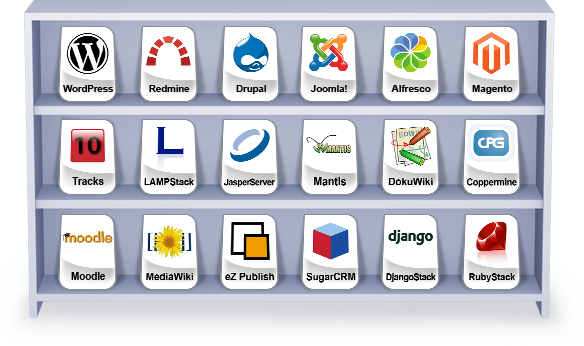 Software-as-a-Service (SaaS) applications are usually completely inaccessible if there is no Internet Access. For the true “Mobile Warrior” traditional, locally installed applications may still be the way to go as they guarantee access to applications and data at all times. Many SaaS offerings have or will have shortly, applications which can be installed locally that will provide the ability to access data when not connected to the Internet. If one has a number of desk based employees coupled with a number of incidental technology use employees such as shop floor personnel, call center staff, and anyone else who should have Corporate Email and perhaps some Word Processing capability to stay connected, but the cost of a dedicated computer is prohibitive, then Software as a Service may be the optimal solution. If the average Office Application Suite costs approximately $300 (Microsoft Office Standard Edition) per seat, then it starts to make economic sense to look at a Software as a Service Online Application Suite in either the Free or Nominal Monthly Subscription cost basis. A number of factors affect the pricing but many Small Businesses can get by with the Free Editions of the Suites (Google Docs and Microsoft Live) and for those that need more features prices start as low as $4 for Email or $6 or $8/month for a Basic Suite and go up to $22/Month for a Microsoft Premium Suite which include a fully licensed copy of Microsoft Professional 2010 and Voice Integration with the Microsoft Communications Server. All Microsoft plans include access to a custom RIM Hosted version of the Blackberry Enterprise Server for seamless Blackberry Connectivity and full Active-Sync support for Android and Apple IOS (iPhone/iPad/iTouch) devices. 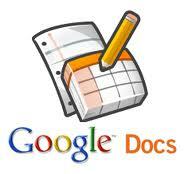 Google Docs (Apps) are free for individuals and small teams while Google Apps for Business start at $5/month ($50/year) for the Full Featured Suite (Gmail, Docs, Calendar) or $10/month which includes the addition of email archiving, retention policies, and E-discovery which can be beneficial to companies that must follow compliance policies. 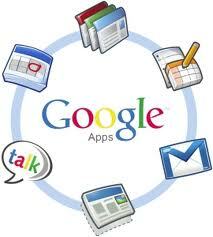 The key philosophical difference between Google Apps and Microsoft Office is that Microsoft wants their offering to be an extension of the Microsoft Office Servers and Applications already installed in your corporate environment. Google Apps just wants to make you instantly more productive with zero capital infrastructure cost outlay.